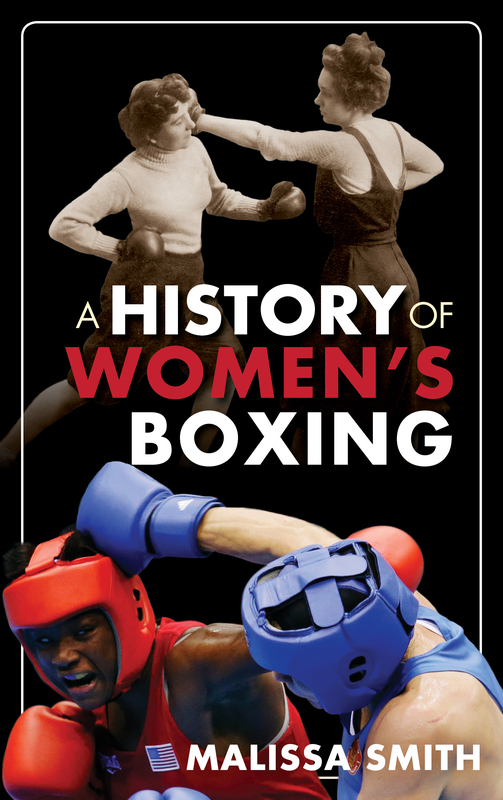 I am the author of A History of Women’s Boxing, the first comprehensive history of the sport published by Rowman & Littlefield in June 2014. The Girlboxing blog has been a labor of love since I first started it back in October 2010. I have the honor of being a board member of the International Women’s Boxing Hall of Fame and make appearances on boxing radio shows to talk about the sport. 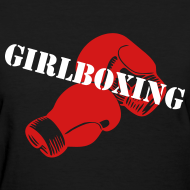 Order your Girlboxing Gear here! My friend Niamh Griffin over at Inspiring Sports Women was kind enough to do a two-part piece about me. Part II: Why should you box? Feel free to comment, pontificate and send in ideas! © 2010-2014 Malissa Smith All rights reserved. Thanks so much Margaret. I will do the column tomorrow. Best! ive been looking for your address here but I cant find. i love your articles and hopefully we post it at the site also. I can’t say I’ve ever met a girl boxer before. Thanks for subscribing to my blog. My pleasure. I came across your blog on the Conjuring My Muse blog. I have been meaning to write, but the show had me so busy. Thank you for all of your GREAT coverage and the stories on Lisa and Mischa! Its a pleasure to have a fellow female pugilist working for the good of the sport! I hope to meet you one day, and I want to import your blog into mine. 🙂 You don’t mind do you? I’ve been neglecting my blog, but its about to get going again. I just started boxing. Age 45. Welcome to the conversation, Emily! It’s great to hit things! Your blog’s great too — I’ll add it to the link page. Thank you SO much for adding me to the link page! I will add you to mine when I figure out how to do such a thing. My pleasure, Emily! You posts are really fun! I met you at Margaret’s site. You left a comment about “There were no mirrors in My Nana’s House.” This is my all-time favorite Sweet Honey in the Rock song. I know next to nothing about boxing, but I’m here, reading your site expanding my brain and my world. Thank you for your writing and for letting me see women and boxing from a whole new light. I had never thought about these things in this way. This is why I adore the exchange of ideas blogging brings. I am enlightened by your words and my world expands. Thank you for your very kind words. “There were no mirrors in my Nana’s house” is my favorite song from Sweet Honey in the Rock too. More than uplifting it seems to paint an entire world that encompasses passion and imagination. Boxing holds out similar possibilities to me. For women in particular, the parameters of the sport seem to take on additional meanings, wherein each woman who approaches it has to do so consciously, much as women who embrace other martial arts and even athleticism that falls outside of the boundaries of what is viewed as normative. I came to this late in my life having eschewed all sports, running, aerobics and so on with a Manhattanite’s effete dismissal, but did I ever miss out! Having come to it now, I love sharing the complexities of the personal saga, as well as putting out small brush strokes that like quick sketches give the sense of what women’s boxing is all about as a global experience. I really appreciate what you’ve written and love forward to exploring your blog — http://www.alterspaces.com. I enjoyed your blog that I just stumbled across. I enjoyed boxing in my late twenties into thirties but just for fun and exercise. That’s how I came up with my email address years ago and more recently my blog. My blog is about my experience in college as an alternative student and my unfortunate experience as a fighter in the divorce ring. Keep blogging when your gloves are off! Thanks so much, Pattie. I can’t wait to check out your blog!!! Ashley! Thank you so much for your note!! I looked at your blog and you are off to a terrific start!!! As for training, a lot of professional and amateurs boxers gripe about it … but it is precisely the work that lets you dance in the ring. I was at Gleason’s this morning at about 8. My trainer wasn’t around so it was just me, but it didn’t mean that I slacked on the work, if anything, I pushed harder on things I knew I needed to work on, and even managed the 100 sit-ups. If I can offer anything, Ashley, it is to say that whatever you choose to do with you life over the long run, your passion for the sport and your willingness to do the work necessary to get yourself where you want to go will be something you will carry with you for the rest of your life. PLUS … four years from now … it could be you carrying an Olympic dream in your heart. BTW, I’ll be adding a link to your blog under the Boxing Blogs links. BEST of the best!!! Hi! Thank you for your fantastic blog!!! I love it!!! I saw in your tweet you’ll be presenting a paper on women’s boxing and gender issues. Will you put this paper on your site? Thank you so much, Jordan! And yes, I’ll put some version of it on the site once I’m back. Best! Thank you very much!! Have a great time at the conference, and congratulations on your paper!! I’m glad to have found your blog. You’ve got a great writing style, and it’s nice to see a women’s perspective on the sport. I took up boxing many years ago when my kids were young and new to it. I recently started doing boxing workouts again after getting an injury that is keeping me from running. Your blog is a great motivator! Welcome and thank you so much for your lovely comment! Good luck with the training! I hope your boxing doesn’t further aggravate your injury. FYI, I’ve linked to your blog under the heading Boxing Blogs. Great stuff! Thanks for the comment. Will definitely give a listen and pass along in a future post. Just want to say thanks for following my blog. I do humor and stories and poetry. Who knows but maybe sometime in the future I might just post a boxing short story. Thank you! I look forward to reading your pieces!. Hi! I laid off of boxing for about 6 months. When I returned I started out very slowly (and gingerly) with a back to basics routine. I focused very hard on the mechanics of my boxing to get rid of any bad habits that may have had be draw back my right arm (surgery was on my right shoulder) beyond the mid-line, and also worked hard on the pivets and throwing with the hip turn rather than an “arm punch.” I worked with my trainer on pads, and on the double-ended bag a lot during that period. Two and a half years in, I have full range of motion to the point where I forget I ever had surgery! I also spar weekly, but do continue to be mindful that I can reinjure. With respect to post-op issues, I also experienced a frozen shoulder. This set me back a few months. If I can offer advise, it is to start PT as soon as possible with a really good PT therapist whose will to work with you 3 days a week for a couple of hours each sessions. My first one was awful and contributed to the frozen shoulder, while the second one really, really helped me. He used massage and ultrasound to break up the stiffness, plus a lot of core on top of the specific shoulder therapy exercises. The other thing is REALLY do the work at home on your off days. I hope this helps. You can email me if you want: girlboxing.wordpress (at) wordpress.com. Hey Melissa, Niall Doran from Boxing News and Views here. I love your blog, really awesome blog on female boxing! I might have something for you that may be of interest if you want to drop me a mail at info@boxingnewsandviews.com when you are free. Thanks! Niall. I’m a WSJ sports writer and would love to talk with you for a story I’m researching.